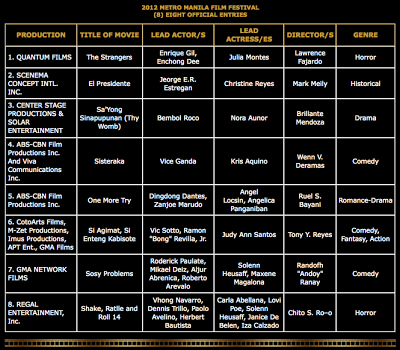 El Presidente won the most victorious at the 38th Metro Manila Film Festival (MMFF) winning a total of eight awards during the awarding rites held at the Meralco Theater in Ortigas, Pasig City on December 27, 2012 (Thursday). Tied at second place are One More Try and Thy Womb winning six awards. Nora Aunor won her 8th MMFF Best Actress Award for the film, Thy Womb, while Dingdong Dantes won as Best Actor for two years in a row, this time for One More Try. 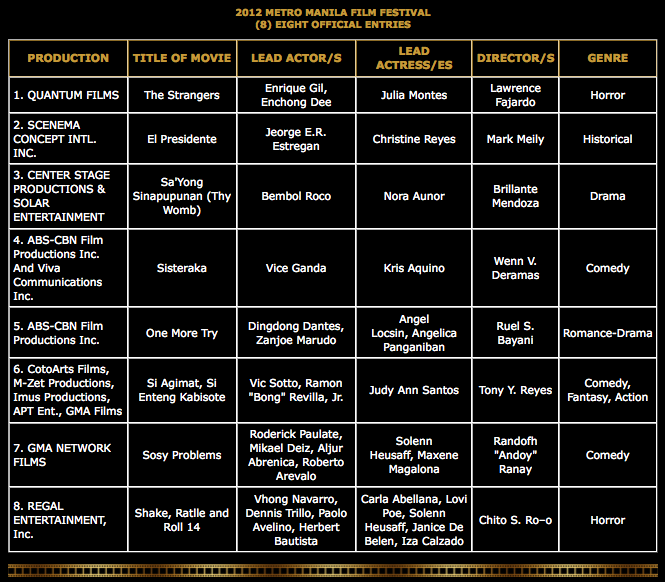 Last year, Dantes clinched the Best Actor award for the film, Segunda Mano. It was the only award the film has received.